Give your diners control over the restaurant experience with the choice to order using a device placed on every table. 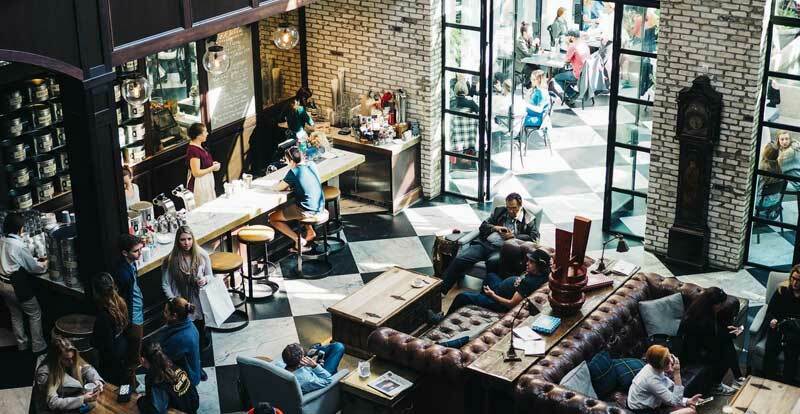 Tech-savvy cutomers will prefer to place digital orders, and when they can get their food faster - they'll become your loyal guest. 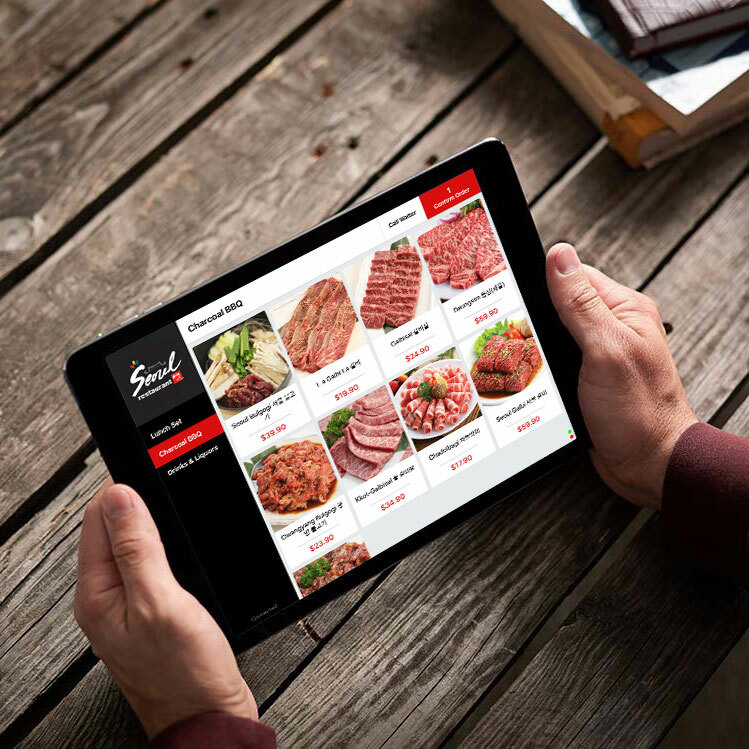 New & Convenient Ordering Experience. Bring your menu to life with vivid, eye-catching images of delicious looking dishes, helping to increase your average ticket size and improve guest satisfaction while lowering operating and manpower costs. Everything from the look & feel to the navigation of menu are consistent with what any tablet user would expect. Eliminating the need to guide diner about the know-how of the system. 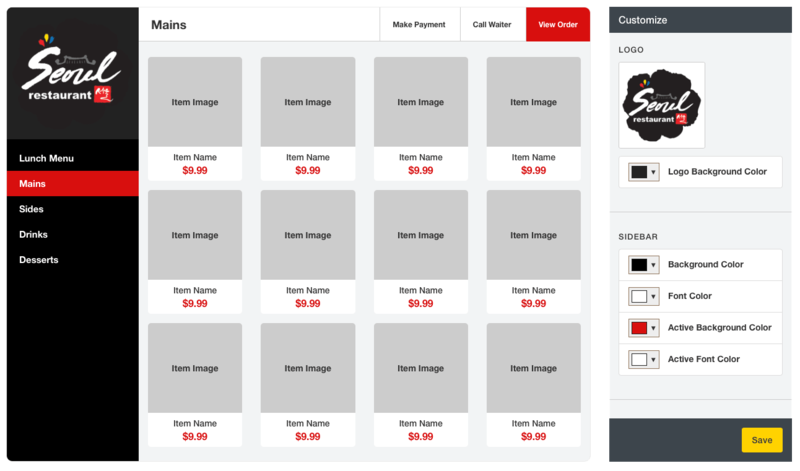 Upselling feels more natural, adding more orders or re-ordering is much more convenient with just a touch on the device. 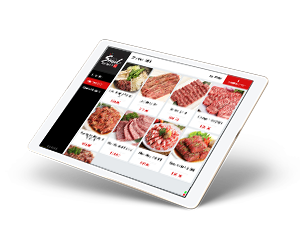 Easy to use design paired with multi-language capable interface help diners to order quickly and easily. Backed by our dinlrSync technology, all devices are capable of synchronizing data with other devices even when there's no internet connection, making sure you won't miss any transactions. Customize the look and feel to fit your restaurant theme. You can easily make changes "on-the-fly" and avoid wasting time and money to reprint menus for every item or price change. Customize the overall look and feel of the theme to create strong brand identity to differentitate your restaurant from your competitors. Whether it's happy hours, special lunch sets or weekend menu, you can set it up with just a few simple steps. We offer affordable and flexible flat pricing for solution that can easily scale with your growth. 1 Location. First 10 Devices. No-risk 14 day free trial. No credit card required. © 2019 Dinlr. All rights reserved.